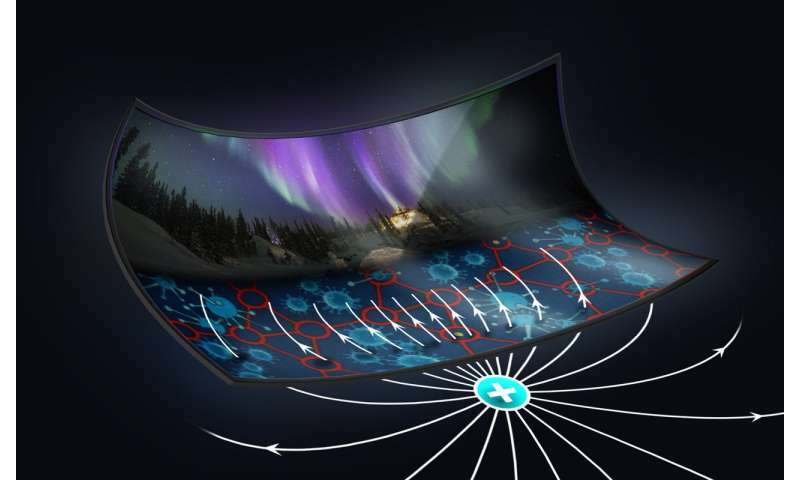 LCD screens operate on the principle of oriented layers of liquid crystals that change their optic characteristics under the influence of external electric fields and align in a certain way. In the course of manufacture, thin layers of liquid crystals are placed between two glass plates. The internal surfaces of the plates are covered with electrode systems and control transistors. The liquid crystals are separated from the glass with thin films made of polyimides—plastics based on synthetic high-molecular compositions. Their role is to set up initial orientation of liquid crystal molecules, i.e. the direction of the polarisation vector. Currently, the production of LCD screens includes a labor-intensive process involving applying polyimides with special rotating brushes. RUDN engineers and scientists have replaced traditional polyamide films with a more promising substance—the so-called azo dyes. These are organic compositions that contain two or more azo groups consisting of two nitrogen atoms. They make the molecules react with the electric field of a light wave and become spatially oriented, changing the direction of the polarization vector depending on the wave's electric field. The authors experimented with different types of azo dyes and finally selected those that oriented themselves the best under the influence of light. To do so, the scientists used a cuvette with different dyes that was placed between the laser source and the photoreceiver. It turned out that the most efficient molecules were dimers—composite molecules whose configuration affects their ability to orient themselves under the light. "The molecules of dyes do not work alone but form the so-called dimers in certain configurations, such as "kiss" and "handshake." They determine the ability of molecules to orient themselves in line with light," explained Viktor Belyaev from RUDN. The dyes with the biggest count of dimers oriented themselves in light the best. The possibility of orienting the plates using non-mechanical processes involving polarized light may broaden the functional properties of the screens. The developers of such screens will can induce an endless set of all possible types of orientation. In the future, azo dyes may be used to create high-resolution holograms, providing a possibility for developing holographic displays. Finally, as azo dyes are organic substances, they can be used to treat flexible polymeric plates and create flexible screens. "When polyimides are rubbed, they are oriented in only one direction. With azo dyes, we can obtain the so-called picture orientation with different pixels on the screen having different orientation directions. This gives us a wider range of possibilities to create protection features for securities, 3-D image displays, and many other products," concluded Belyaev.